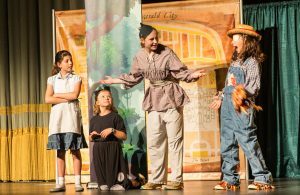 The Paramount Theater had an amazing summer presenting The Wizard of Oz and The Jumping Jacks and the Beanstalk with Compass Creative Dramatics and 100 local youth! Information for Summer 2018 Theater Residencies will be available soon! Read more about the Summer 2017 Theater Residency with Compass Creative Dramatics on our blog.